Roger Dale Reynolds, 75, of Wills Point, TX, passed away on Friday, August 10, 2018. He was born on August 25, 1942, in Dallas, TX, to parents, H.L. Reynolds and Margie Mae Abercrombie Reynolds. Roger was raised in Trinity, TX where he graduated high school. He married Jimmie Dixon on May 25, 1962 in Beckville, TX. Roger and Jimmie lived in Dallas and had three children, Lori, Bubba and Joey and later made their home in Wills Point. Roger was employed as an iron worker for Henry C. Beck in Dallas and Charter Builders. He was avid hunter and fisherman. He is preceded in death by his parents, two brothers and a sister. 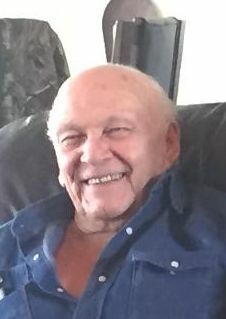 Roger is survived by his sons, Roger Dwayne “Bubba” Reynolds and wife, Cathy, of Wills Point and Joey Reynolds and wife, Misty, of Kemp; daughter, Lori Rankin and husband, Rusty, of Wills Point; brother, Jimmy Reynolds and wife, Wanda, of Canton; sister, Sharon Wiggins and husband, Billy, of Palestine; grandchildren, Shane King and wife, Jennifer, of Wills Point, Lindy Dodgen and husband, Scott, of Canton, Rustin Rankin of Wills Point, Dane Reynolds of Wills Point, Buck Reynolds and wife, Avery, of Arlington and Fisher Reynolds of Kemp; three great grandchildren and one on the way.